Free to play, downloadable game company OGPlanet announced they have signed an agreement with Bandai Korea to publish the popular multiplayer third-person shooter game SD Gundam Capsule Fighter Online in North America. The mecha action game supports 12 player matches on 30 different maps in four modes: Points, Tag, Stock or Greed. Beta applications are now being accepted on the game's teaser site. 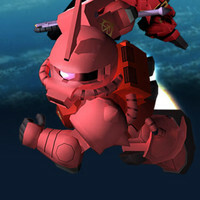 The announcement states that the game plans to feature over 350 unites from the original Mobile Suit Gundam to Mobile Suit Gundam OO. Vin Diesel Planning "Chronicles of Riddick 3"